When it comes to health and weight loss, I'm usually not one for "get skinny quick" schemes. Ever since I started attending college, I've been trying to eat clean and work out and although some days is harder than others, I've gotten used to the routine and have seen success with it. 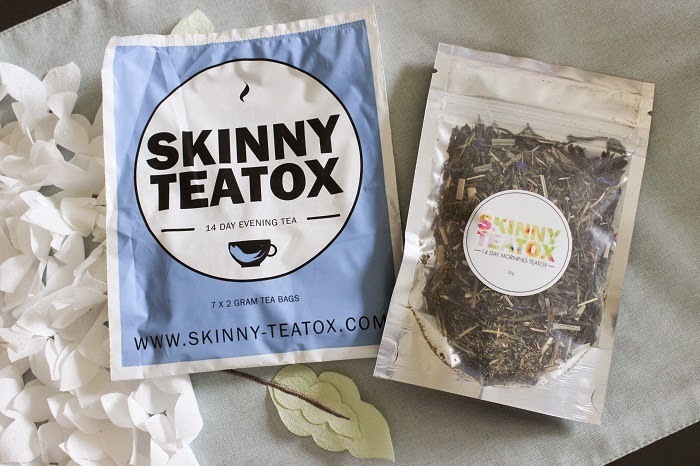 Yet when I got the opportunity to review Skinny Teatox and heard about it's natural ingredients and benefits, I decided to take the chance and see if it really works or if it's just another gimmick. Some background about Skinny Teatox is that it's 100% natural, gluten, preservative, chemical, and GMO free. The main benefits are weight loss, increased energy, and a faster metabolism. Skinny Teatox should be used in combination with a healthy diet and exercise routine. What stood out to me in the brochure, is that they included tips to eating healthy and really seemed to promote the idea of this being a supplement and not a replacement for dieting and fitness. You don't see that too often! When ordering the Skinny Teatox, you receive the daytime tea, evening tea, and the strawberry tea infuser (so cute!). For 14 days, you drink the daytime tea in the morning or afternoon since it's supposed to give you a steady and constant supply of energy throughout the day. The evening tea is obviously for the nighttime and is meant to cleanse the body and detoxify. This means that you'll be going to the bathroom throughout the night or early morning since it's flushing out your digestive tract of toxins! Note: these teas come in teabags and are meant to be taken every other day, starting with day 1 in the evening. I'm on day four right now and I'll admit the first four days has been the hardest for me since I didn't find the taste of the tea appealing and kept going to the bathroom throughout the night (I know, TMI). 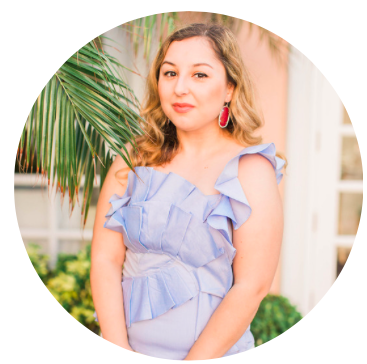 I didn't notice any major changes but I did notice I was feeling more energized in the late afternoons when I'm usually tired from work around that time. I also noticed a slight decrease in my appetite and less cravings for salty foods which is my weakness! I'll be sure to make a follow-up post to keep you updated about my results but for now it's too early to tell if I've lost weight from it or not. Although I do think it's great that I finally have more energy! Coffee doesn't seem to do the trick for me and if I drink more than one cup it makes me jittery yet this tea doesn't which is a major plus! Hopefully I'll see bigger results soon. In the meantime, if you'd like to try out the product for yourself visit Skinny Teatox and order the 14 day package. Haha I'm sure you'll be fine! It's different for everyone!